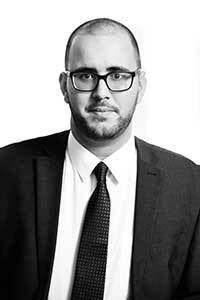 Jamie joined Chambers as Junior Clerk in 2010 and is an invaluable member of the Clerking team. He provides valuable support to all members of Chambers and assists the other Clerks. His main duties include liaising with clients regarding acceptance and distribution of work, managing Counsels’ diaries, preparing fee notes and the fixing of cases. Away from Chambers, he is a passionate West Ham United supporter and plays football on a Saturday and Sunday morning.